The selfish Christian professor [that is, believer] who wraps himself up in his own conceit of superior knowledge and seems to care nothing whether others sink or swim, go to heaven or hell, so long as he walks to church or chapel in his Sunday best and is called a “sound member”—such a man knows nothing of sanctification. He may think himself a saint on earth, but he will not be a saint in heaven. Christ will never be found the Savior of those who know nothing of following His example. Saving faith and real converting grace will always produce some conformity to the image of Jesus (Col. 3:10). I grew up around churches which were sectarian and exclusive. I don’t simply mean that they thought the churches outside of our Christian group were not “true” churches. Instead, most of the conversations were about all the churches within our “brotherhood” that were not true churches. What, you might wonder, determined whether a congregation was a bad church? What brought their condemnation upon you? The focus was nearly entirely on what was done on Sunday morning. Were the exact things done? Were these exact things done with an exacting precision? Of course, churches split over and over again because people could not agree what exact things needed to be done and the exact way to do them? I could give more examples. And I am sure those of you from other Christian groups can give similar examples. The common denominator is a congregation with many people who go through what they consider to be the exact Sunday morning acts with great care and pride. They were the ones who had it right. They were the ones who were doing God’s will. My experience in these churches, though, was that very few people evangelized. They were proud of getting Sunday morning right but had enormous blindspots in their concern for the lost. This is why Ryle calls them “selfish”. I’ve spoken to several older men who have ministered in aging congregations similar to ones I have been describing. Each of these ministers has shared a similar experience: a major reason the churches were dying was that many members were satisfied going through the exact steps on Sunday morning but didn’t evangelize or serve the community. In other words, these were people who, as Ryle wrote, are so conceited in their “superior knowledge” that they care nothing about other’s eternal destination, but only that they are considered “sound” church members. I think I was a senior in high school before I was struck with this inconsistency. I realized that people like this would quote Bible verses to me if I asked them why they did what they did on Sunday morning. They thought they detected patterns that everyone had to do (like meeting in an upper room, as I mentioned earlier). But what about the patterns of evangelism, missions, and radical generosity? Why were these not as important? 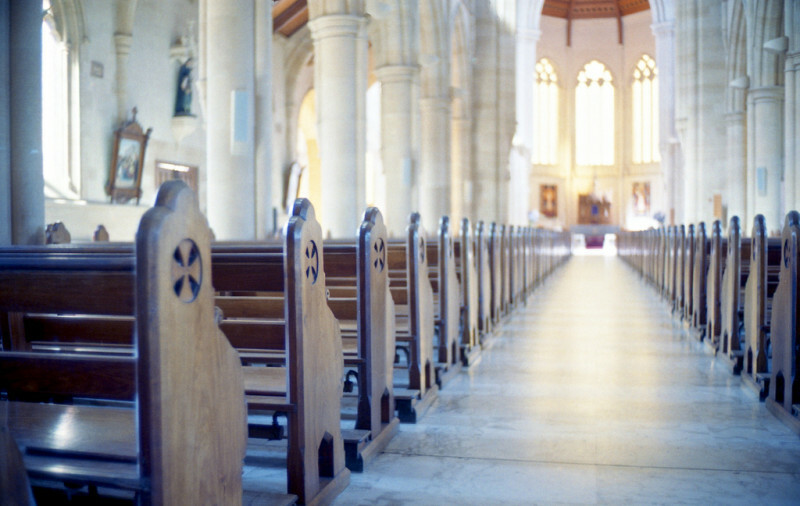 This problem pervades all Christian groups, not just the churches in which I grew up. After all, the author I quoted at the beginning of this post, J. C. Ryle, was the Anglican Bishop of Liverpool (England). I know that I am painting with broad brush strokes. But people still live and think this way. Many people are complacent with knowing and doing the right things on Sunday mornings (or, at least, what they assume to be the right things) and yet still ignore evangelism, mission, and personal generosity. We need to guard against such an attitude in our own hearts, and we need to confront it when we see it in our churches and our fellow Christians. It is, as Ryle points out, a serious problem. It shows a selfishness and a lack of sanctification––that is, a lack of being like Christ––that no Christian should be content displaying. People who struggle with this are people who are so focused on themselves (i.e. how smart they are to understand these certain doctrines) but not focused on those who need to draw near to God. If Ryle is right, and I think he is, then it is possible to love Sundays and still lose one’s soul. That is a sobering insight.